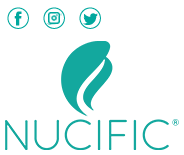 Enter your email address below to join the Nucific Newsletter and receive an exclusive first-time customer offer. PrebioBoost is a delicious protein and metabolic-support prebiotic beverage. Our groundbreaking formula gives you the “healthy gut” benefits of high-quality fiber — critical for proper digestion and maximum nutrient absorption. Then we add a powerful concentrated protein blast, which helps you feel full longer — and fires up your metabolism. The result: you’ll experience the cravings control and slimmer figure you’ve always wanted! Free yourself from snack and junk cravings. Optimize how your body treats calories… and slim down faster than ever. Eliminate digestive issues like gas and bloating as your gut bacteria rebalance. Boost your metabolism with fast-absorbing protein. Enjoy the newfound confidence you feel when you look in the mirror. Fit into your old clothes again… and get rid of those larger-sized pants! 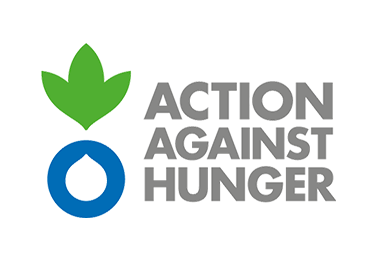 Nucific is proud to sponsor Action Against Hunger. AAH is a global organization leading the fight against global hunger by helping people around the world access clean water, healthy food, training, and healthcare. Whey Protein, a protein blast that helps you feel full longer, and gets your metabolism roaring. Combine one scoop with 8 fl. oz. of cold water. Every scoop of PrebioBoost is packed with prebiotic “food” to feed the food bacteria in your gut AND protein to fuel your metabolism, to give you incredible slimming results and cravings control. However, just as important to us is what we do NOT put in those scoops. How Many Bottles Are Recommended To Order? The majority of our customers enjoy the discounted 3-bottle option, to ensure they’ve got plenty of PrebioBoost on hand. If you plan on sharing with your family, we suggest purchasing the 6-bottle discounted package instead. PrebioBoost contains a special kind of prebiotic fiber from flaxseed — known as mucilage. It combines this mucilage with additional fiber from apple (which your good gut bacteria also love), and then mixes this fiber blend with a concentrated blast of whey protein to enhance fullness and metabolic activity in your body. It also has a lovely vanilla flavor and a touch of stevia to give it delightful, soft sweetness I’m confident you’ll love. Mixed with water, PrebioBoost tastes like a comforting, refreshing vanilla shake. The flavor has been almost universally praised by everyone who has tried it. It’s a major highlight of adding this formula to your daily routine! How safe is PrebioBoost? Are there any side effects? Unless you consider “unlocked” metabolism, freedom from cravings, a slimmer figure, more confidence, and improved digestion “side effects” — because those have been reported right and left! Nonetheless, you should always consult your doctor with any concerns before starting a new health program, including consuming a new supplement of any kind. How should I prepare and consume PrebioBoost? To have this delicious formula by itself, simply combine one scoop with 8 fl. oz. of cold water and enjoy. This is how both the test group and my showbiz clients have taken it. And that’s how I recommend you take it. It’s incredibly tasty this way. It also goes seamlessly into any healthy drink you want to make. But be careful what ingredients you add if you do this… since you’d most likely be adding calories! What if I don’t like it or it doesn’t work for me? Is there a guarantee? We take your health and satisfaction very seriously… which is why we went through countless rounds of tweaks and changes to perfect the balance of ingredients in PrebioBoost. In the unlikely event that you don’t enjoy this incredible formula and experience a near-immediate improvement in your control over your appetite — followed by an exciting period of slimming down — we do offer you a 90-day no-questions-asked money-back guarantee. Can I buy PrebioBoost in stores? The answer to this one is ‘no.’ In order to keep our prices as low as possible, we cut out the middleman and only sell PrebioBoost directly to our customers. 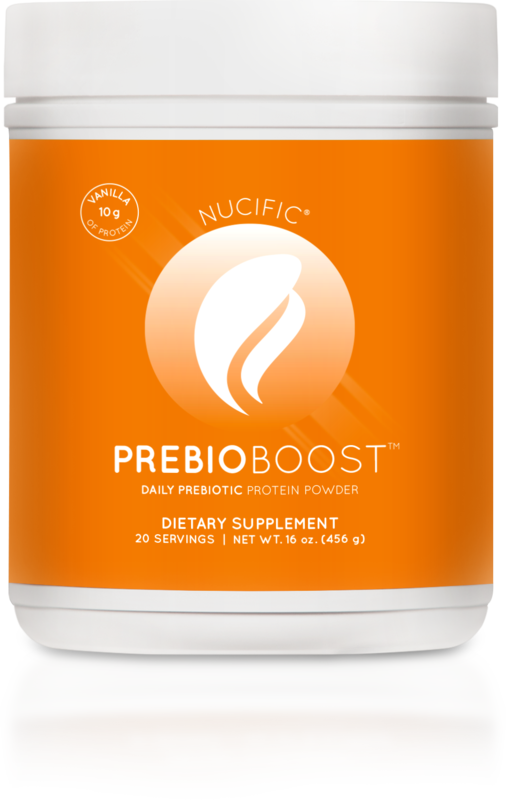 PrebioBoost is only available for purchase online through the Nucific website or by calling our Customer Care Department. Nucific is a nutraceutical company based in Los Angeles, California. Our focus is developing compounds that increase the quality of life for our users. We only use safe, proven ingredients. We test each batch of our supplements at our own lab and again at an independent, 3rd party facility for quality, safety, and identity. We ship Monday through Friday, usually within 24 hours upon receiving your order. Shipping takes between 2 and 7 business days with the U.S., depending on your location.